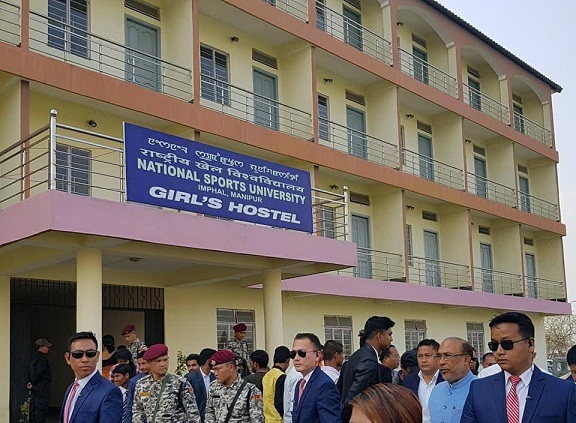 In its bid to boost sports in northeast India, the centre has approved an ordinance on Wednesday to set up country’s first National Sports University in Manipur. The Union Cabinet chaired by Prime Minister Narendra Modi approved an ordinance to set up the University in Manipur. The varsity will be spread over 325 acres in Imphal West district with a cost of Rs 524 crore. “The decision to set up the Sports University through an ordinance was taken as a bill on the matter is awaiting Parliament’s approval,” Union Law Minister Ravi Shankar Prasad told the media. Since there is huge sports potentiality in northeastern states and Manipur’s youngsters had done well in sports, with boxer Mary Kom becoming the biggest symbol of sporting talent in the state, it was the Prime Minister’s wish to further promote sports in Manipur. “Ordinance okayed for India’s first sports varsity in Manipur, Thanks to Hon’ble PM@narendramodi ji @AmitShah ji @Ra_THORe ji and all the people who have made it happened,” Manipur CM N Biren Singh tweeted.